The CD4026B IC's are each consist of a 5-stage Johnson decade counter and an output decoder which converts the Johnson code to a 7-segment decoded output for driving one stage in a numerical display. These devices are particularly advantageous in display applications where power dissipation low and /or low package count are important. Counter and 7-segment decoding in one package. Easily interfaced with 7-segment display types. Fully static counter operation: DC to 6 MHz (typ.) at VDD = 10 V.
"Ripple blanking" and lamp test (CD4033B). 5-V, 10-V, and 15-V parametric ratings. Decade counting 7-segment decimal display. Frequency division 7-segment decimal displays. Clocks, watches, timers (e.g. ÷60, ÷60, ÷ 12 counter/display). Counter/display driver for meter applications. 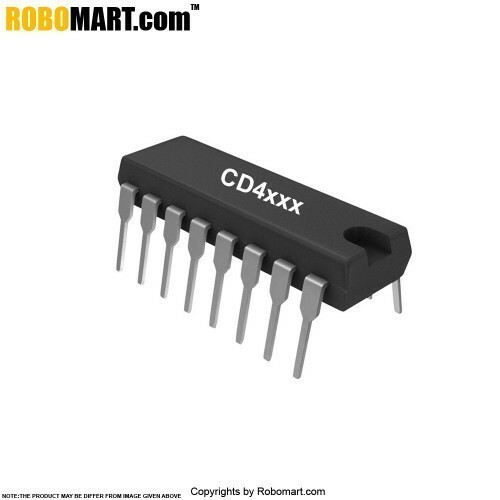 Also Searched as : cd4026 decade counter, cd4026 ic, cd4026 counter, cd4017, cd4026 datasheet, cd4026 datasheet pdf, cd4026 circuit, electronic cd4026.